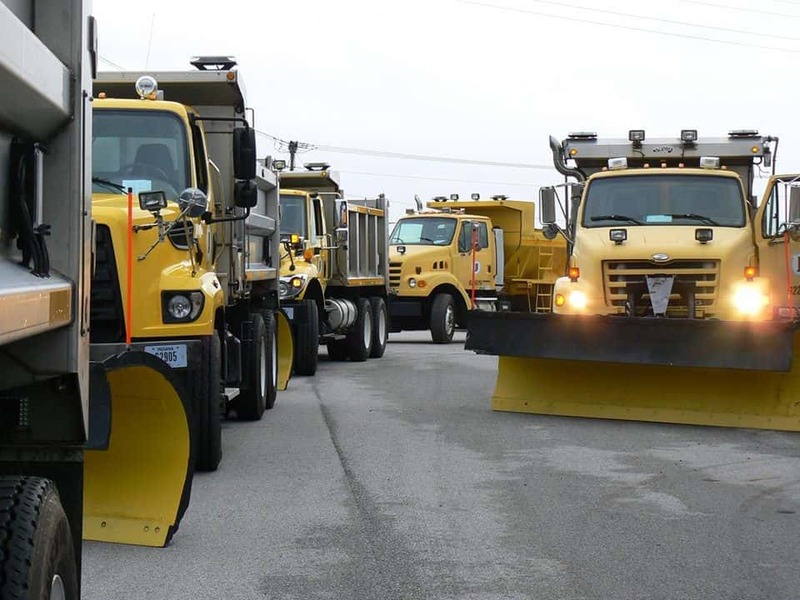 INDOT Is Ready For Snow, Trucks To Be Out In Force | 95.9 WVIG The Legend - Terre Haute, In. WEST CENTRAL, Ind. – The Indiana Department of Transportation will have their yellow salt trucks deployed in west central Indiana ahead of the snow arriving tonight. INDOT reminds motorists to be cautious while traveling during this upcoming winter weather. The forecast is calling for 4-7” of snow to begin around midnight and continue through Sunday morning. The district will have a full call out of their salt trucks deployed as maintenance crews will continue to plow and treat the roadways during this event. INDOT will continue with a full crew reporting in at noon on Saturday to plow and treat the interstates, U.S. highways and state routes. Each route takes 2-3 hours to complete with salt assisting in melting between passes. 800-261-ROAD (7623) or our INDOT mobile app. County governments post color-coded travel advisories on the Homeland Security website at http://in.gov/dhs/traveladvisory. For regular updates, find links to INDOT’s Facebook and Twitter pages at http://bit.ly/INDOTsocial. Drivers often aren’t prepared for winter driving – especially since this is the first major snow so far this winter- and forget to take it slow. The first snow events of the season typically bring higher rates of crashes and slide-offs as motorists get re-accustomed to driving in winter weather. Reduce speeds. Remember, “ice and snow, take it slow.” Nobody should be driving summer interstate speeds in winter weather. Plan plenty of time to reach your destination safely and be patient. Don’t put yourself and others in a dangerous situation by being in a rush. Pay attention. Avoid all distractions and focus only on the task of driving safely. Be aware of your surroundings, drive defensively and be alert for others who are not driving safely. For social media updates, follow us on Twitter www.twitter.com/INDOT_WCentral and like us on Facebook www.facebook.com/INDOTWestCentral.